Yes it's back, the Sky Super 6, free entry correct score competition where you can win £250,000 for guessing the correct scores in six matches that play this afternoon. Go to http://dailypunt.com/super6 to make your no cost, risk free entry now. Also today we have our regular insight from Peter Hawkeye. 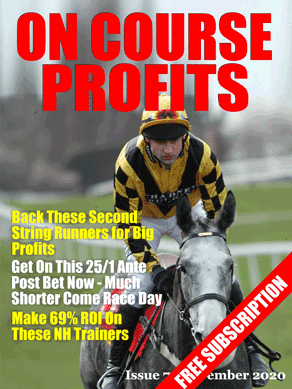 Don't forget you can trial Hawkeye Tips for a full month for just £7.99. Once you have made the payment of £7.99 you will receive an email with your log in details for the service. For your chance to win a quarter of a million pound for no stake hop on over to super6.skysports.com/ and predict the correct scores in 6 games being played this afternoon. Sky's quarter million pound prize on the Super 6 this week goes to somebody who can predict the correct scores in 6 Championship games. With free entry even with zero knowledge it's worth a go – Click Here. We are due a win on the footy away perm, so hopefully this week will bring a boost to our profits. By the way TAPS provide 3 other perms for the football every weekend as well as their racing and other sports bets every day. It's Welsh Grand National Day and we have a selection for you. But first a few other bits and pieces to deal with. There is a nearly half price offer of the Value Backing service at the moment, but there are limited places available. As well as the £250,000 prize for anybody getting all 6 correct scores there is also a £5,000 consolation prize for the best prediction. We had another profit last week from the Taps Best Aways bet when we hit 4 out of 5.